This dojo offers practice of an ancient style of Jujutsu which represents traditional budo. Starting from the mastery of good etiquette in order to polish one&apos;s spirit, practice also aims at building a sound body and mind, while being able to defend oneself against unreasonable aggression using techniques. 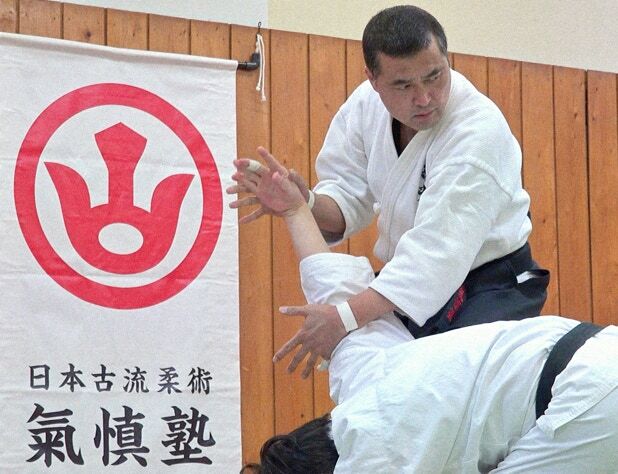 These days, ancient Jujutsu has particularly gained interest outside Japan. Many foreign students came to Japan in order to study authentic Jujutsu. This statement also applies to our school. Kishin-Juku has for policy to welcome foreign students and makes no discrimination whatsoever in the transmission of knowledge and technique. We believe it is beneficial to enrich each another in our growth and pursue it of knowledge.